We've compiled a handy checklist distilled from various global sources. 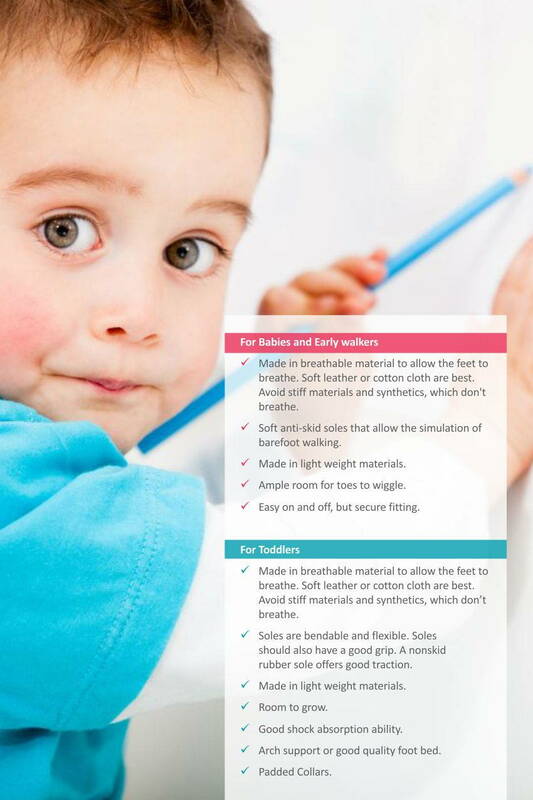 This checklist gives you a fair coverage of the DO's and DONT's, when you're buying shoes for your little ones. Ranging from materials selection, to choice of size,this list has got it covered.